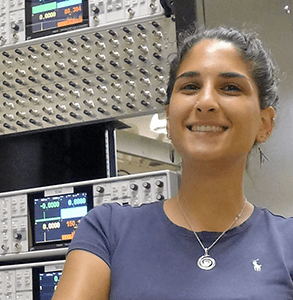 Sara Metti obtained her degree in physics at Boston University in 2017. She joined the Manfra group in June 2017, and she is studying InSb/GaAs heterostructues as part of Station Q Purdue. She is currently a graduate student in the School of Electrical and Computer Engineering.